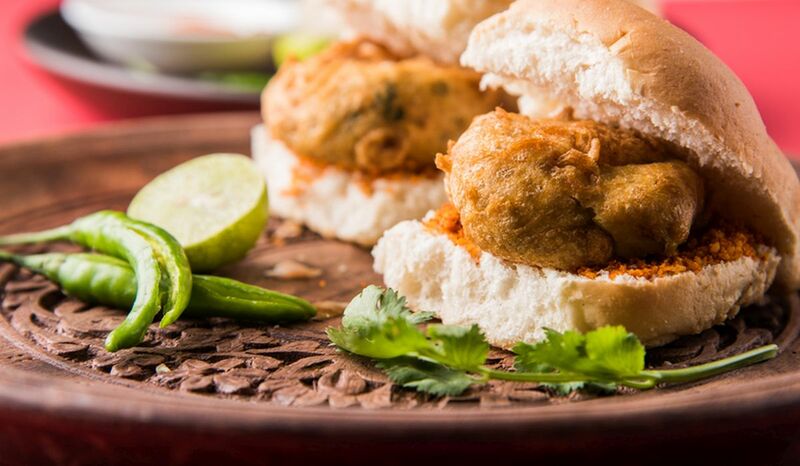 Vada pav is one of these food items that can take your taste buds to ecstasy. Rains can interrupt many things like transport facilities but it can’t interrupt food cravings. Sometimes it is completely alright to indulge yourself in fried food especially when its monsoon season. 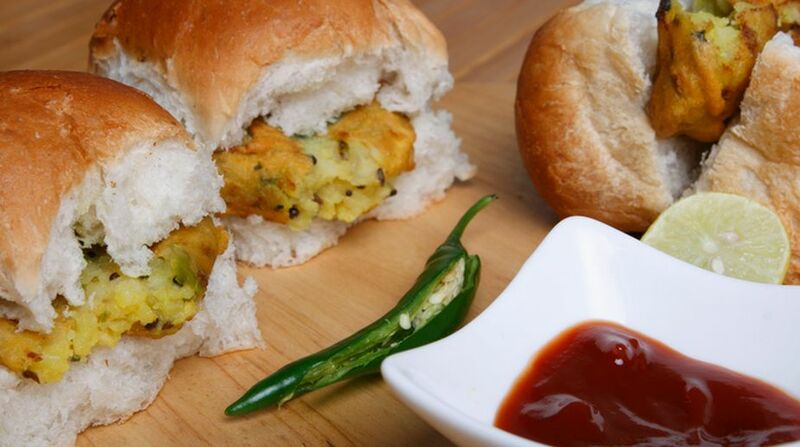 Vada pav is one of these food items that can take your taste buds to ecstasy. 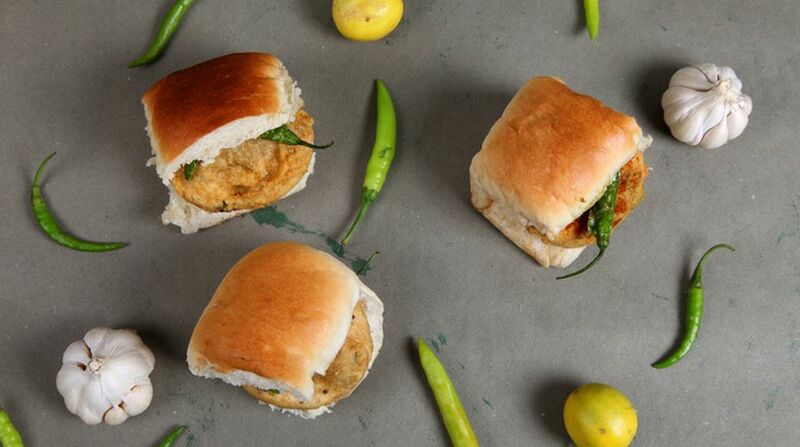 You can happily relish this amazing snack when it is steaming hot with garlic coriander chutney. Boil potatoes. Peel and mash them coarsely. Heat one tablespoon of oil in a deep pan. Add garlic paste and saute for a minute. Add coriander seeds and saute for another minute. Keep cooking at low flame for 15-20 minutes stirring occasionally. Turn off flame and keep this potato masala aside to cool down. After cooling down make small round balls out of potato mixture having a diameter of 2 inches. Add water to besan and make a thick paste. Mix well adding a little salt. Dip round balls of potato mixture in besan dough and deep fry them at ideal temperature till golden. Take a fresh pav. Slice it from the center horizontally to get two equal halves. Spread coriander-garlic chutney inside the pav on both sides. 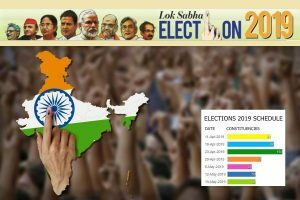 Place the vada in between and close. 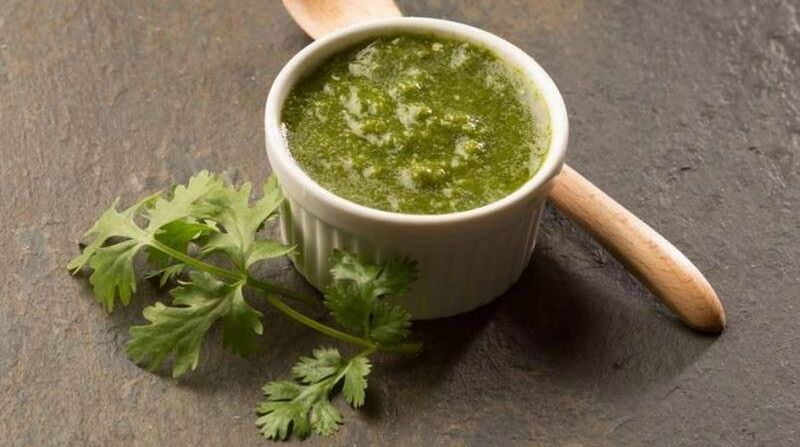 Put washed and cut coriander leaves in a food processor. Add salt, lemon juice, garlic cloves and chopped green chilies along with coriander leaves. Add enough water to make a thick chutney. Grind and pour it into a glass container and close the lid. Have a bite and now you are not going to stop. Eat it at home with family or at a stall with friends, the spices, and hotness with the taste of soft pavs will make your rainy day complete.